Motorists cruising down a quiet stretch of Route 29 just inside the city limits of Kannapolis, N.C., could easily miss a historical marker commemorating one of the most important industrialists in the state’s history. With a population of less than 50,000, Kannapolis pales in size and economic clout to Charlotte, located 25 miles to the southwest. These days, the city is best known as the hometown of late NASCAR legend Dale Earnhardt. But 80 years before Earnhardt scored his first NASCAR victory and decades before Charlotte became the second-largest banking center in the US, Kannapolis was the heart of one of North Carolina’s most important industries. James William Cannon was born into a family of farmers and planters in 1852. At the age of 14, he moved from a rural corner of Mecklenburg County to Charlotte, where he worked at a general store. Two years later, he moved north to Concord, N.C, and took a job at Cannon, Fetzer & Wadsworth, his older brother’s mercantile company. An industrious worker and capable manager, the younger Cannon quickly became a partner in his brother’s firm and took charge of cotton and yarn purchases. It was in this capacity that Cannon recognized emerging opportunities in the US textile market that eventually would make him a wealthy man. Although North Carolina was a leading cotton producer, planters sold much of their output to textile mills located in the Northeast. At the time, New England dominated US textile production; the handful of yarn and cloth mills that existed in the South primarily produced rough, low-grade products sold into the local market. James Cannon saw an opportunity. By opening yarn and cloth factories locally, he could take advantage of North Carolina’s cotton crop and cheaper factory labor to lower production costs and make textiles more affordable for average Americans. In 1887, Cannon borrowed $75,000, primarily from banks in the North, to build his first mill in Concord, N.C. He developed and branded Cannon cloth, a product that earned a reputation for quality and value. Over the ensuing decade, Cannon built a number of mills and factories in North Carolina and shifted his focus from producing cloth to making towels–both cheaper “huck” towels and the luxurious terry-cloth towels that predominate today. By the early 1970s, Cannon Mills produced over half of the towels sold in the US and about 20 percent of the nation’s cotton sheets. But textile manufacturing ultimately shifted from the American South to Asia and Central America, where production costs were much lower. In the early 1990s, US textile mills employed almost 500,000 workers, compared to 115,500 at the end of 2013. And in 2003, Pillowtex Corp, the owner of Cannon Mills’ last remaining assets, declared bankruptcy, resulting in the largest single-day layoff in North Carolina’s history. Chinese textile manufacturer Keer Group recently announced plans to build a US$218 million textile factory in a rural region near Charlotte. This facility will employ 500 workers. According to a recent article in the Wall Street Journal, one of the main reasons for the Keer Group’s investment decision is that electricity costs in the Southeast US are half those in Hangzhou, China. And Keer Group isn’t alone: India-based ShriVallabh Pittie Group is building a US$70 million yarn operation in Georgia. India’s notoriously unreliable electricity supply has emerged as a major impediment to textile manufacturing in the country; reliable access to inexpensive power was a major factor in the company’s decision. 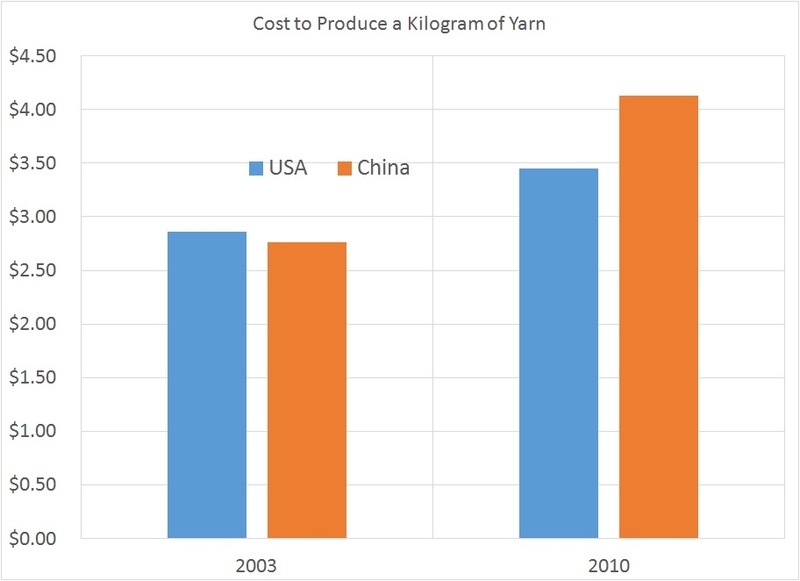 According to a recent paper published by North Carolina State University’s College of Textiles, it’s now cheaper to spin yarn in the US than China–even after you factor in America’s higher labor costs. And America’s cost advantages are growing thanks to soaring labor costs in China, and rising energy costs outside North America. The revivification of the South’s textile industry is one aspect of the manufacturing renaissance under way in the US, a renaissance fueled by the ongoing shale oil and gas revolution. Surging domestic production of oil, natural gas and natural gas liquids has lowered North American energy prices and reduced the nation’s reliance on imports to meet demand. Recently, the US overtook Russia and Saudi Arabia to become the world’s largest producer of oil and natural gas. And the nation’s dependence on imported oil has declined dramatically. By the end of last year, US refiners no longer imported significant quantities of light-sweet crude oil into the Gulf Coast. Today, the US imports about 15 percent of its fuel needs, compared to more than 30 percent in 2005. 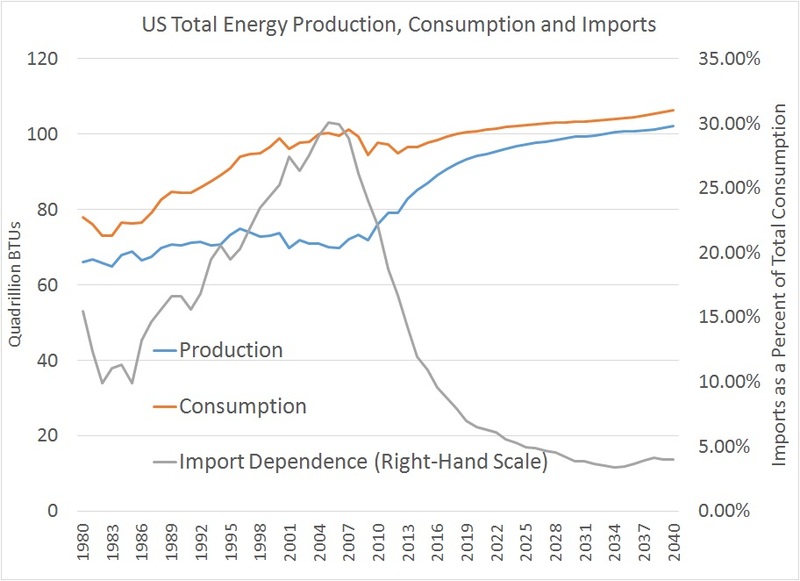 The Energy Information Administration expects US energy imports to decline to less than 5 percent of consumption and hover around this level until at least 2040. With most of America’s remaining imports likely to come from elsewhere in North America, US dependence on imports from regions of geopolitical instability such as the Middle East could be negligible by the end of this decade. Contrast America’s push toward energy liberty with the outlook for many of the world’s fastest growing emerging markets. China relied on imports for almost 11 percent of its primary energy consumption in 2011 and overtook the US as the world’s top oil importer in 2013. As recently as 2001, China was a net exporter of energy. Meanwhile, imports account for 28 percent of India’s energy consumption, a proportion that’s expected to grow to one-third by the end of 2015. Far too many pundits write off the US as a post-industrial power, a fading economic empire addicted to imports of consumer goods and commodities. But the nation’s newfound abundance of low-cost energy and restrained wage growth continue to revive its moribund industrial base. 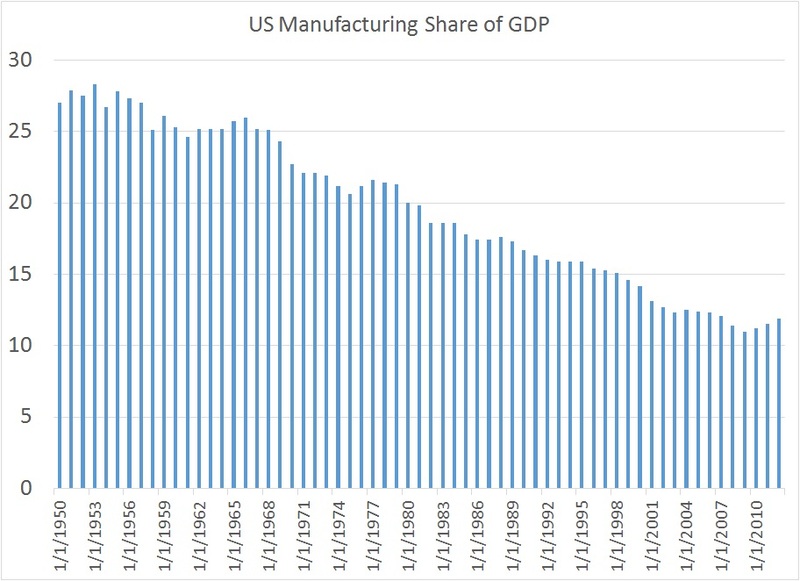 Manufacturing industries in 2012 accounted for 11.9 percent of US gross domestic production, climbing 90 basis points from the nadir of 11 percent hit in 2009. Investors shouldn’t dismiss this gain as negligible; this achievement marked the first time since 1966 that the manufacturing sector’s share of the economy had grown for three consecutive years. 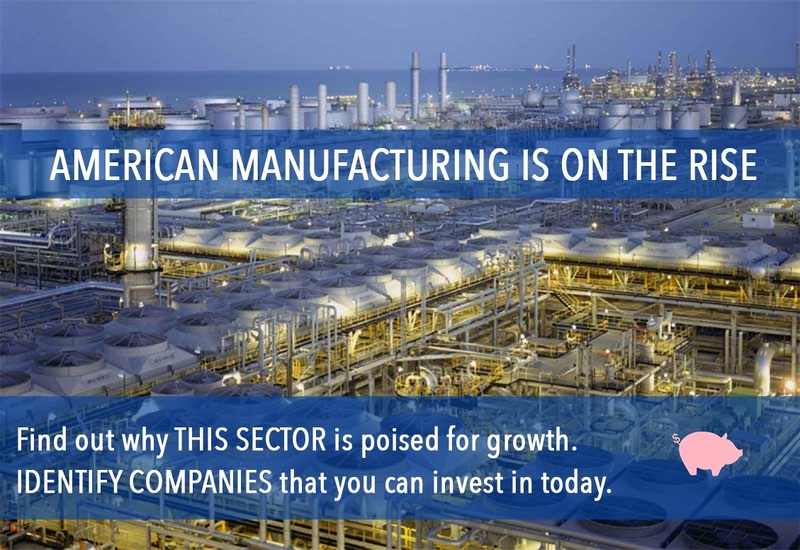 As more and more industries seek to take advantage of America’s energy advantage, this manufacturing renaissance should pick up steam.